While cuts to school budgets have been detrimental, educators and staff in two area towns are doing what they can to ensure programs in the arts are not cut. The Board of Education in Berlin has been impacted the most by fiscal cuts. Last month the board finalized alternatives to make up for $400,000 the Town Council asked to cut from the current year’s spending. Savings included pay cuts for newly appointed superintendent Brian Benigni, a new assistant principal at McGee Middle School and a new principal at Griswold Elementary School. Other funds came from not filling an assistant superintendent and information technology director positions. According to Benigni, all of the funding for music and arts programs relies on the school budget. The district does not receive any private funding or donations that go exclusively to the arts. “Nothing has been cut (in the arts) due to the budget, but I can’t promise that won’t be the case in the future,” Benigni said. As of now, each elementary and middle school takes a vocal and instrumental course. At the high school students have more freedom to choose what types of classes they can take. 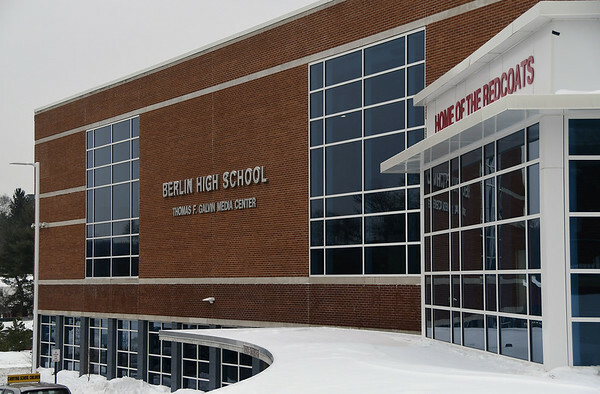 In order to graduate from high school, Berlin students are required to take 27 credits. New Britain High requires 23 credits and Newington High 25. Of those 27 credits, eight are electives with one in the arts, as regulated by the state. “I think we’re doing a good job with what we have, we definitely would like to move forward and do more but given the constraints of this budget we can’t,” Benigni said. For music courses Berlin High offers beginning band, bella voce, concert band, history or rock and roll, men’s choir, music technology, music theory, musical theater workshop, percussion ensemble, piano, technical theater and treble chorale. Art survey, 2D printing, digital art, drawing, the history of symbolism in works of art, jewelry & metalsmithing, mixed media, sculpture, painting and pottery make up the art electives. “The music program at the high school has really grown, the band director there, during his tenure has doubled the size,” Benigni said. The choral director, Tyler Boyle, who is new to the position, recently was approved by the Board of Education to have separate men’s and women’s choirs next year. In Newington, budget constraints are also a major problem, but programs at the schools have not been eliminated because of it. “We have been fortunate to not lay off any teachers in the arts, but what ends up happening is we cut sections,” Terra Tigno, principal at Newington High School, said. Rather than being able to offer several sections of the course and allowing 100 students in the class, Tigno said they’d only be able to offer two sections and admit less than half of interested students. Despite having to offer fewer sections, Newington High School offers an extensive list of courses in art and music so suit anyone’s interests. There are also a number of courses that integrate art and technology. The Newington school district ranks 35th in overall excellence of 83 school districts across Connecticut rated by Niche.com. A senior at Newington High, Garrett Giantonio, said he is very lucky to have grown up in the town. “It’s a great education from middle school through high school, I’ve had a great experience,” Giantonio said. As a member of the wind ensemble and marching band, Giantonio said an added benefit to his education is being taught by skilled faculty in the music department. Eric Vanables, a junior who is in the band and valedictorian of his class, said the music department at the school offers something he can’t find in his other courses. “Coming down here and creating something passionate and emotional, other classes don’t have the same feelings,” he said. Junior Sam Johnson, section leader in the Chamber Choir, shared similar sentiments. “I look forward (to this class) every day,” Johnson said. He added that the students in the choir are all a close-knit group of friends and even joke that choir director Chris Clark is their dad. The Chamber Choir has performed at convalescent homes, Stew Leonard’s, Veterans Day ceremonies and even at the Empire State building. Other programs, whether in music or arts, offer field trips or opportunities to connect their education to the real world - from Broadway shows to art museums in Boston or New York City and statewide student film festivals. Posted in New Britain Herald, , Berlin, Newington on Sunday, 11 February 2018 22:00. Updated: Sunday, 11 February 2018 22:02.